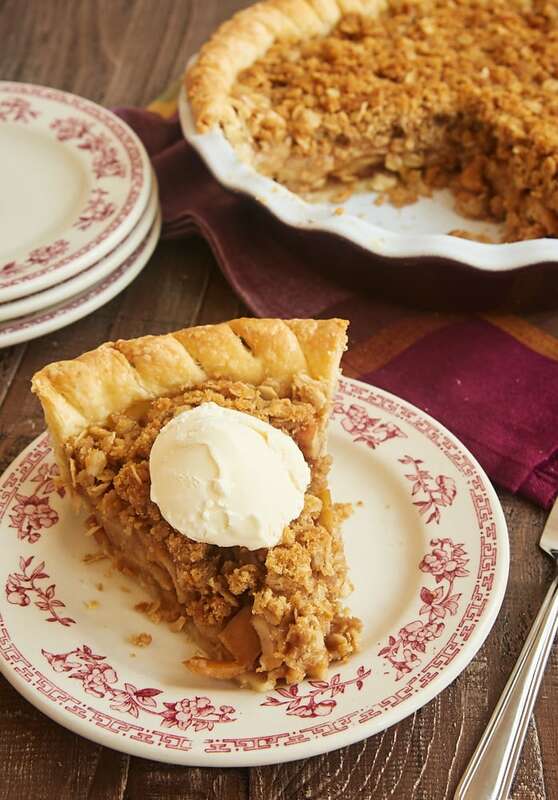 If you’re a big fan of apples, then you’ve likely had plenty of experience with eating apple pie. 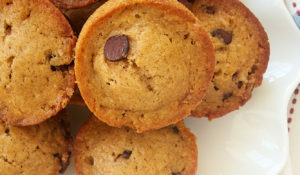 It’s such a simple dessert, yet it never fails to deliver on its deliciousness. 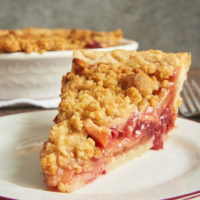 While the classic versions of apple pie often feature a lattice top or some other variation of a double crust, I have a weakness for crumb topping. 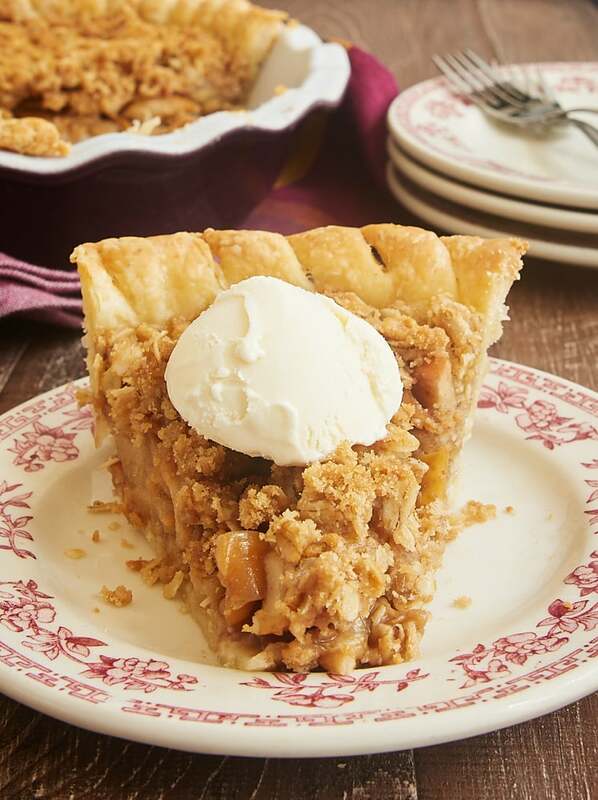 Honestly, I love crumb toppings in most any dessert situation, but the buttery, cinnamon-y crumb on top of this Apple Crumb Pie is just heavenly. 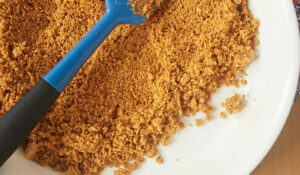 The crumb topping keeps things simple with the basics: butter, flour, brown sugar, and oats. Added to that is a bit of cinnamon for some extra flavor. The spice doesn’t stop there, though, because the filling is full of fall spices. 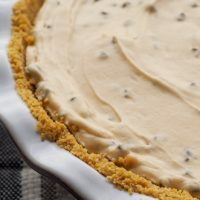 I use a spice combination that I really like for this pie, but feel free to adjust the blend to your tastes. Don’t discount the extra step of cooking the apples before adding them to the pie. Those few minutes of stovetop time soften the apples a bit so the pie doesn’t have to bake quite as long, keeping your crust in good shape. Plus, it lets the apples, brown sugar, and spices all meld together to coat the apples in a caramel-like sauce filled with flavor. So worth those extra few minutes and one more pan to clean. 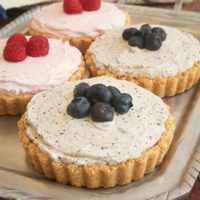 Most any 9-inch pie crust recipe can be used for this pie, but I’ve included my go-to crust in the recipe. I like this all-butter crust for most any pie, as it’s easy to make and always bakes well. 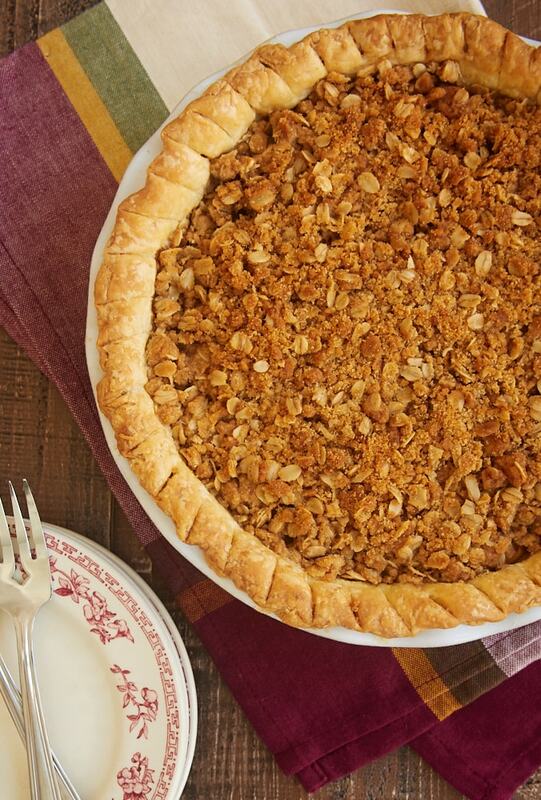 Of course, this pie is a perfect choice for fall. 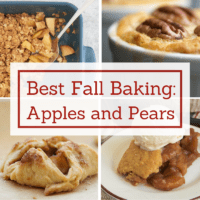 But I’ll happily bake one any time I’ve got fresh apples. If you’re a fan of apples and fall spices and buttery crumb toppings, then I think you’ll join me on this Apple Crumb Pie bandwagon. 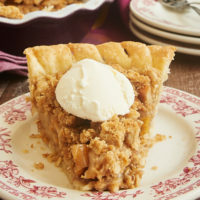 Apple Crumb Pie combines sweet apples and a cinnamon crumb topping for an unforgettable dessert! Combine the flour, brown sugar, salt, and cinnamon in a large bowl. Add the butter, and mix using a pastry blender, a fork, or your fingers until thoroughly combined and the mixture forms crumbs. Mix in the oats. 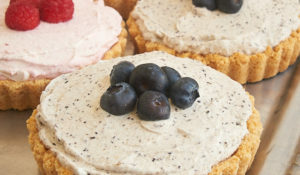 Refrigerate the topping while you make the filling. Combine the apples, brown sugar, cornstarch, salt, and spices. Melt the butter in a large skillet over medium heat. Add the apple mixture, and cook, stirring frequently, until the sugar melts and becomes bubbly. Continue cooking about 5 minutes, or until thickened. Transfer the apples to the chilled pie crust. Sprinkle the crumb topping over the apples. 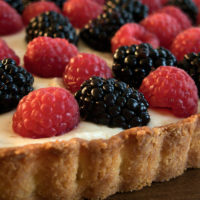 Place the pie plate on a lined, rimmed baking sheet to catch any potential spills. 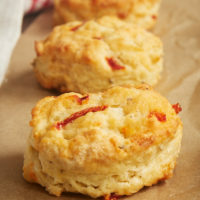 Bake 45 to 50 minutes, or until the crust and topping are golden brown, and the filling is bubbly. What is the temperature for the oven for making the Apple Crumb Pie? I do not see on the recipe or description. Thank you for catching that! It’s 375°F, and I’ve updated the recipe. 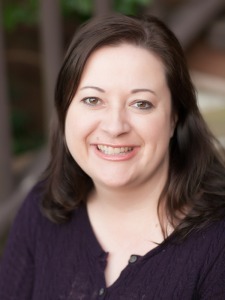 Thank you for your delicious recipes!!! My pleasure! I’m glad you enjoy them, Aquila.